Do You Really Have to Go to Church Every Sunday? Do we really need to go to church every Sunday? People are like pendulums. The nature of man is to react against the extremes of the past. We have this historic tendency to swing from one extreme to another. For generation after generation, church was a legalistic, ritualistic expectation. It was what you did on Sunday morning. The dominant motivation for spiritual activity—be it reading the Bible, praying or going to church—was obligation or duty. We did what we did because we thought that’s what we were supposed to do. For a long time, we didn’t really question it. That changed. We started asking questions. We realized that anything we did out of obligation or duty ended up feeling pretty empty. For so long the Church developed this idea that in order to have a relationship with God you had to come to church regularly. Some places even gave out perfect-attendance pins for people who made it to church every week of the year. Really. My mom has several. The error of the Christian leaders was drawing a parallel between our relationship with God and our church attendance. We said or implied by our expectations that if you didn’t go to church every week, you couldn’t really know or love God. What is happening in society today is the pendulum swing against that. The idea that you don’t have to go to church to be a Christian is flooding our culture, and it’s doing so because for years many churches relied on the wrong motivation to get the right response. Think of church attendance like doing good works. If our motivation for doing the good works is to try and earn our salvation or prove ourselves worthy of God, then those works are self-righteous and worthless. If our motivation for those good works is to demonstrate our love for God in response to His grace and mercy, then they are the fruits of our faith. The motivation changes everything. Good works are not tools to earn our salvation, they are our natural response to salvation. Church attendance works in the same way. When we make it about what we are supposed to do, then it becomes an empty religious practice. When we invest ourselves in the Church because we recognize it’s an opportunity to grow closer to God through relationships with His people and our motivation is to have more of God in our lives, then that same action shifts from being a chore to a joy. The question is: Do we really need to go to church? The best place to look for an answer is in what the Bible has to say. Let’s start with Acts 2:42. Acts 2 gives us a picture of the Church before the sinfulness and selfishness of modern man corrupted it. We are told that the Church was devoted to the fellowship of believers. It’s one of the four primary things the early Church prioritized. So, we have Biblical command that says not to neglect meeting together. It’s not ambiguous. Hebrews clearly tells us that we need to make the community of God a priority in our lives. Add that to what Jesus says in John 14:15: “if you love me, keep my commands” and what you have is a pretty strong imperative to engage in Godly community. It gets better. In the second century, community was a lifestyle. Society changes. Culture changes. As such, so can the application of a certain text. However, the principle of the message here is clear: The people of God should be invested in and treat the community of God as a priority. I understand the objections. The concerns. The Church is full of broken, messed-up people. The Church can be challenging. It can be frustrating. It’s full of hypocrites. There are two things we need to understand about that. Those things are true of us as well. The person who doesn’t go to church because it’s full of hypocrites is just as much a hypocrite as the people they are objecting to. Those outside of the Church claiming to be Christians are just as messed up and broken as those inside it. The difference is, they are reducing the opportunities to grow and heal from that brokenness. CHURCH TO BE A CHRISTIAN? I know a lot of people who use the argument that you don’t have to go to church to be a Christian. In fairness, they are right. Just a like a fish doesn’t have to be in water to be a fish. What happens to that fish when you take it out of the water for too long? In my whole life, I’ve never met a mature, God-loving Christian who had a deep relationship with God and an understanding of His Word who didn’t go to church. Anyone who truly connects with God, who grows in relationship with Him will be drawn to invest in Godly community. Those who know and love God, obey His instructions. God tells us to be engaged in the community of His church. The argument that you don’t have to go to church to be a Christian is an argument of immaturity. How can the Church improve if the people who recognize the problem don’t stay and fight for it? Imagine a world where all the doctors stopped going to hospitals because they realized how sick people were. Who would treat those sick people? Who would help them get better? If the people who recognize the problems avoid them, how will problems ever get fixed? I love the Church. I know it’s not everything it should be. I have experienced many of the nasty things that Christians do to each other. It’s definitely not perfect. There are those who will say you can engage in godly relationships and grow in godly relationships outside the Church. For all the arguments I’ve heard, they’ve never been anything more than excuses. I’ve never seen people outside of the Church genuinely engage in godly community, discipline each other, challenge each other and grow each other to a deeper relationship with Christ. I understand that life is busy. In fact, the world seems busier and faster paced than it has ever been before. There will always be hundreds of things demanding our time and attention. There will often be things that sound more exciting and more fun than engaging in godly community. The funny thing about people is that we always manage to find time for our priorities. No matter how busy life gets, I find time for my wife because I make sure that’s a priority. The question of church attendance is less about if we have to go and more about why we don’t want to. What is it that keeps people from seeing godly community as a priority that is worth sacrificing for? While church isn’t perfect, it is the theater in which God chooses to display His awesome power. The more we invest in it, the more we see the power of God at work through it. Comments Off on Do You Really Have to Go to Church Every Sunday? Buying a good set of chef knives can be a complicated process depending on your experience in buying kitchen utensils. Since the recent past, there have been a growing number of kitchen blade brands such that it becomes hard in identifying the best brand to purchase. Additionally, not all sellers of these cutters stock the best and high-quality brands. There are some sellers whose knife brands are of poor quality and are therefore unreliable and not durable. Nearly all malls have some floor space dedicated to some of the best and finest quality kitchen utensils. These are utensils stocked by leading brands from across the globe. 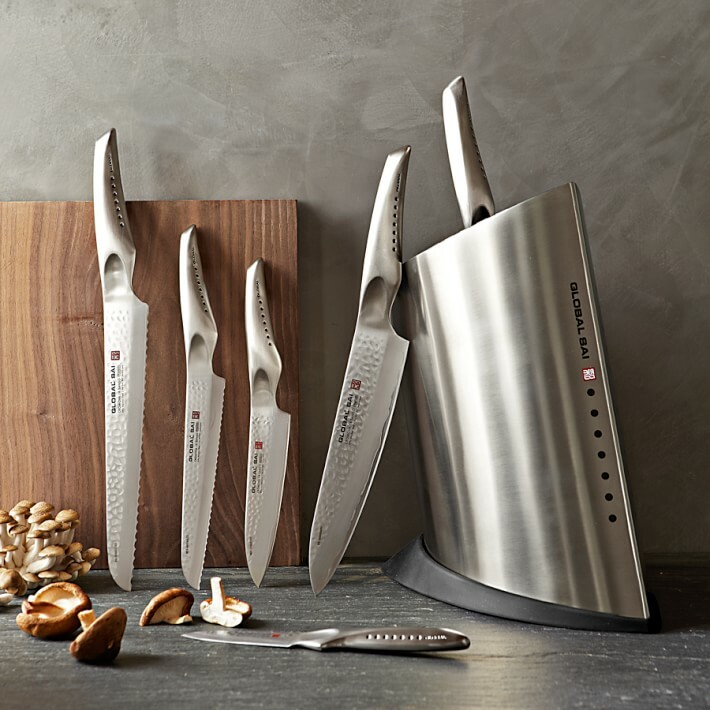 From decent paring knives for your kitchen to good carving knives that you can use daily, you can find them all there. As such, when shopping for a reliable kitchen knife set, your local mall may be a good place to start. The only thing you need to know about shopping for blades in the malls is that you should be aware of the brands to purchase and those to avoid. As such, you need to do some research beforehand so that you can identify the best brands to opt for. The best thing about shopping for your kitchen blade set at the mall is that these sets are priced competitively. Therefore, it is possible to get a decent bargain for a top quality knife brand. The internet has made it possible to buy anything from the comfort of your house. From utensils to household furniture and even food supplies, you can order these items from the convenience of your house. Likewise, you can purchase knives from any of the hundreds of online sellers spread all over the internet. If you’re looking for a high-quality set of steak knives, for example, I highly recommend you do some Google searches first. The best thing about shopping online for your utensils is that you can read reviews left behind by previous buyers. If you want to bring home a decent cleaver, for example, you can take a look at Amazon.com, read the reviews, and pick up the one that fits you the most. As such, it becomes easy to assess the quality as well as the convenience of using such utensils depending on the reliability and durability of the utensils. You can visit Knives-Sensei.com website for more information on the best kitchen knives out there. Some wholesale stores are entirely dedicated to selling kitchenware including utensils and kitchen appliances. These stores are a great place to shop for the best quality and brand kitchen knife set. This is because the stores stock utensils from different manufacturers thereby providing shoppers with a chance to choose the best brand that meets their needs and preferences. Additionally, the staff in these stores are highly skillful and can thus offer reliable guidance in choosing the best blade set depending on your needs, budget, preferences and intended use. If you want to know how to use your newly bought bread knives, for example, you can ask them and they will show you. Essentially, the ideal place to buy your preferred kitchen cutter set should be the place that is most convenient for you. However, before purchasing any brand of blades, it is advisable to research more on the brand so that you are able to determine the reliability of the brand. This will save you the trouble of spending your hard-earned cash on a brand that is not reliable. Ensure that the blade set of choice features strong and firm handles, perfect weight and length and blade strength for reliability and dependability. Badminton is the most important item of badminton players. With a professional badminton player, he is a companion on the road to success. After finding the best badminton racket for you, think about how to play with it for as long as you can. Here are some tips for you to increase the life of this great racket. – Situations do not pay attention, saving in a difficult position to make the outer strings of the grinding body to the surface. It can break the strings, cause loss of balance, pull the racket or break the racket. – When doubled, the two player’s two racquets are easy to collide, or when the shuttle hits the body of the racquet, then there will be invisible effects on the outside that are hidden inside the racquet. It is difficult to identify until it is really serious. – Some healthy players tend to strap to 11kg. The surface of the racquet is very rigid and produces friction when used. It is very dangerous when the string is broken during play if not handled quickly by cutting or burning the frame will be deformed, even broken. When you want to stretch your racquet, pay attention to the racket maximum allowable tension. You want a racquet that produces powerful smashes by stretching the maximum tension for the racquet, then you should use the 4 button knotting technique. The four-button racket technique is very accurate, giving the racetrack a more stable balance and when the above cases occur, the variation is no greater, safer when the strings are broken. When the strings are broken, remove all the old strings and stretch them with new strings. 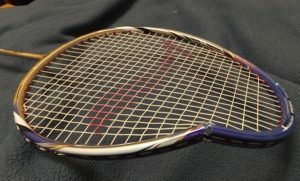 Do not fix by reconnecting the cord, as it will not be able to guarantee the balance of the racquet, it is easy to cause problems such as distortion, warping, broken racquet later. During the game you should focus on the shuttle to hit the most accurate, avoiding the shuttle to hit the racket. 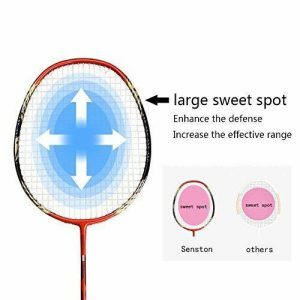 If your skills are not good then I recommend you have a big sweet spot, which is the ideal racket for beginners. A large sweet spot will help you hit the shuttle more accurately. During the game, your hands will sweat, it will penetrate the layer of rolling wire. After a period of using this layer will create a smell of moldy and reduced grip when gripping. Keep the racquet out of your hands when you play, so you should know how to wrap it and make sure it is rolled every 1 to 2 months depending on your level of play. After each badminton session, place the racquet in a dry place before placing it in the bag. The best way to increase the life of your racquet is to treat it like your loved one. Good luck! For anyone who is taking care of a baby, baby monitors are a must. With a baby, you will need a monitor regardless of where you go, move it in your own home or when you are visiting friends; with this in mind it can become annoying to have to carry your baby monitor around with you everywhere. Especially if you’re using an audio baby monitoring system, for example. There is, however, an answer to this annoyance. With the iPhone, you can get a baby monitor app, which is entirely portable in the sense that it goes everywhere with you anyway. Baby monitors are an incredible speculation to give that additional consolation that a baby is protected while resting during the evening. 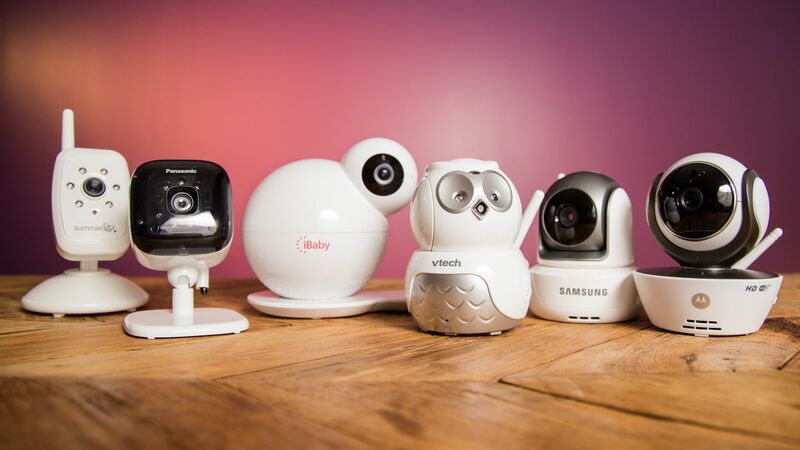 There is a wide range of baby monitors available coming from well-known brands such as Levana, Motorola, or Samsung. They can fluctuate between those planned to monitor breathing, while others are more viable at identifying cries and different sounds. When your baby sleeps you can simply activate the app and leave your phone next to your child. When it gets sounds it dials a number you have input yourself and cautions you that your baby has awoken. Despite the fact that I doubt anyone will be using it when they are across town, this app is perfect for when you are in the same house as your child. Thanks to the fact it can work no matter where you are it can be a handy tool to use in conjunction with an actual baby monitor if you find yourself out of monitor range. It comes equipped with numerous options that can come in handy. You can choose how long your child has to make a sound before it contacts you. This is great because babies will often make some noise while they sleep that is nothing to worry about. You can even choose to make the phone play soothing music when noise is detected, to help your child fall back to sleep. Then once your child makes noise for a specific amount of time you will be contacted. 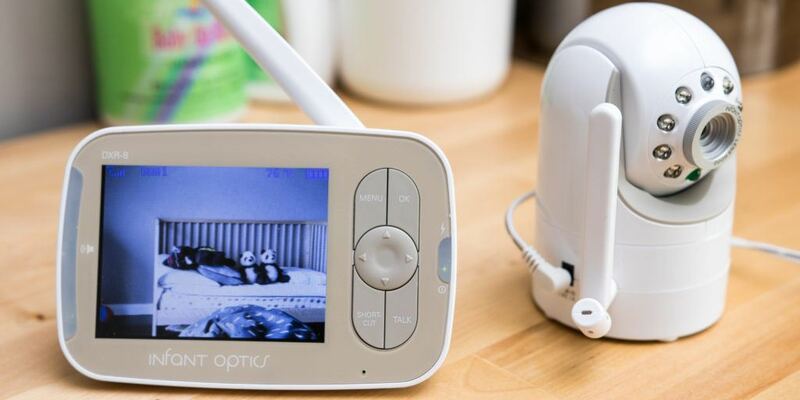 It can even record everything that goes on in the room so you can play it back at a later date and find out what your baby was up to in their sleep. There is one issue with the application, however, in the fact that it works straight away, which means you have to wait for your child to be fully asleep before you leave it beside them, otherwise, you will get a call as soon as you leave the room. When you are using it as a baby monitor, be certain to have call forwarding on and the ringer muted so you do not disturb your child by getting phone calls or messages. It is important to note that you should not become reliant on this app; you should still have a normal baby monitor in your home and you cannot use it to replace being observant of your child or anybody else’s child who you may be looking after. However, it is certainly worth the small fee it costs just for the extra peace of mind it offers when you need to use it. Are you constantly anxious about your baby when you go to sleep at night? Do you constantly check on your child’s nursery room to put your mind at ease? Do you ever wish there is something that can help you relax and relieve your anxiety? Then you’re in luck because baby monitor sensor pads are here to the rescue! Having a child is mixed with happiness and worry especially if you are a new mom or dad. Keeping them safe from unknown danger is the task that you are put on. Whenever your baby is sleeping in the other room, you help but to be overwhelmed with concern. This is why products like sound and movement monitor, breathing monitors, and movement monitors are born. Movement monitor sensor pads detect each action of your baby, even the tiniest ones. If it cannot sense any kind of movement within the next 20 seconds or so, an alarm will go off to alert you. That’s exactly what you will get if you decide to go for this decent Philips Avent monitoring system. This movement detector is placed under the mattress; your baby shall not be on top of it. Newborn babies up to 2 years old are the ideal ages for its use. Because the older your babies get, the more they move and the sensor pads won’t be able to keep track of them since it only has a range. There are also sensor pads which are able to detect the breathing patterns of your baby even when you’re moving on the road in your car. If this car-specialized baby monitoring system senses that your baby has no breathing movement in exactly twenty seconds, an alarm will blare and alert you. Since long breathing breaks are connected with SIDS and sleep apnea, this is the perfect supervisor at night. Asthma and other chest issues are very dangerous so babies with this illness shall be checked upon every once in a while. 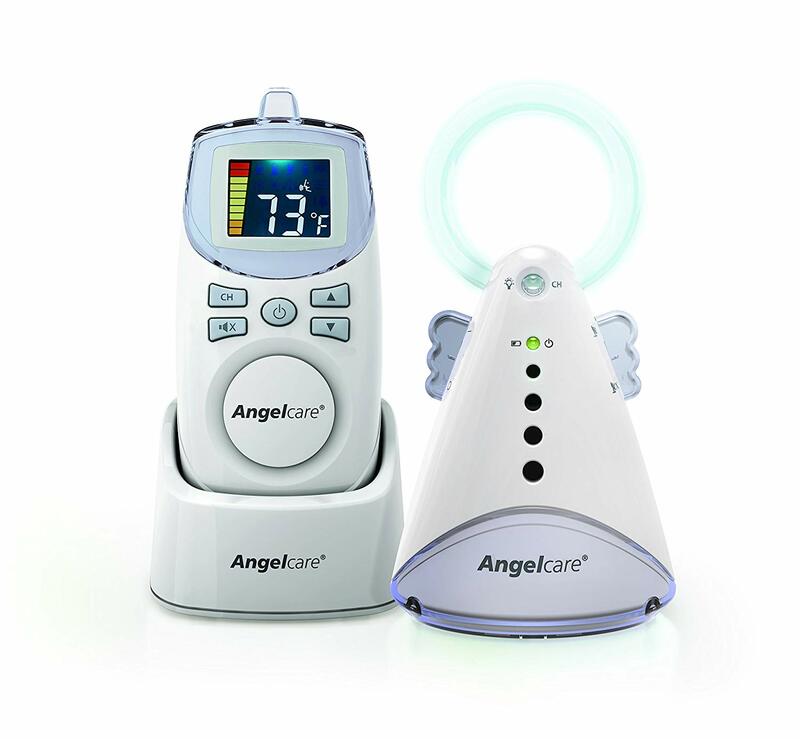 These sensor pads, as you can see in these top quality Summer Infant monitoring systems, also display the temperature of the room, and if the level of the temperature is too hot or too cold, the sound of the alarm will fill the house. It also displays the view of the nursery room using a camera. What can this product offer you? You will be able to sleep peacefully at night, knowing that your baby is safe and the monitor will alert you once something happens. You can prevent danger before it even happens. It is an important tool to help supervise your baby, especially if he/she has trouble breathing. Even though this product has apparent benefits, it also has some disadvantages. These sensor pads may sound an alarm even if your baby is completely fine. This false alarm will make you panic without a reason. Since your home is a sanctuary for your family, security, care, and safety should be your utmost priority. If you are busy during the chores in the house on a daily basis and the baby is sleeping in the nursery room, then you won’t have to frequently make sure that your child is okay. The sensor pads will do it for you. But on the other hand, nothing beats the adult supervision. Comments Off on How Do Baby Monitor Sensor Pads Work? Why Baseball Is Harder Than Softball? 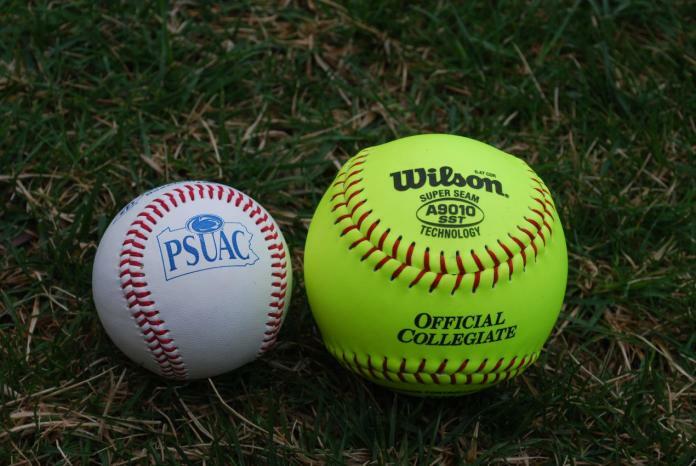 For a long time now, there have been ongoing debates and arguments on which is harder to play; baseball or softball. It is worth noting that these two sports are similar in many aspects and hence the comparison on which of the two games is harder to play. 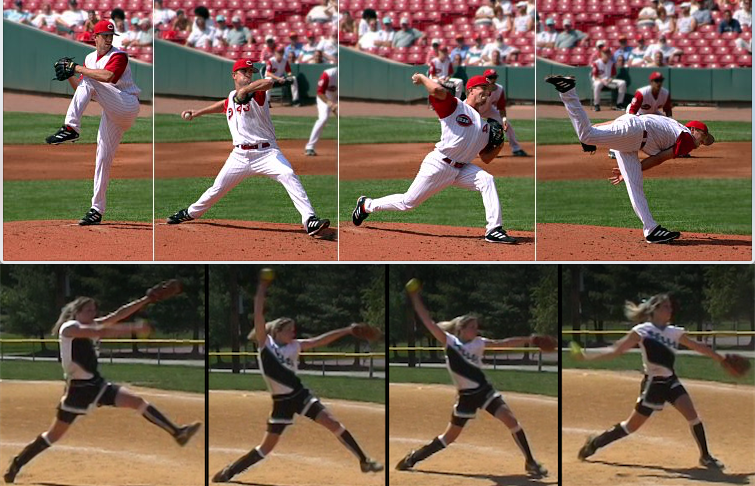 It has been proven that playing baseball is more complex and requires detailed skills compared to playing softball. Players require possessing multiple skills and a perfect understanding of baseball to play the sport competitively. Here are some of the top reasons why baseball is harder than softball ? Baseball fields are nearly three times the size of softball fields. The size of a baseball infield measures 16,700 feet while that of a softball infield is 7,200 feet. Baseball players require possessing excellent hitting, accuracy and precision skills so that they are able to send the ball to the target area. In addition to this, the pitcher’s mound in baseball is 60 feet while in softball it is approximately 43 feet. As such, baseball players have to react fast and with excellent accuracy especially when swinging to catch the ball. Visit https://baseballeagle.com/ for tips on how to swing like a pro when preparing to pitch and/or hit a baseball. Baseball bats are longer than softball bats with softball bats having a maximum length of 34 inches while the baseball ones measure up to 45 inches. The excessive length of baseball bats makes it harder and more complex to handle the bats. The pitching distance in baseball is 60 feet while in softball, the distance averages 35-45 feet hence making it complicated to aim using baseball bats. The drop in these bats varies depending on the length of the bat. 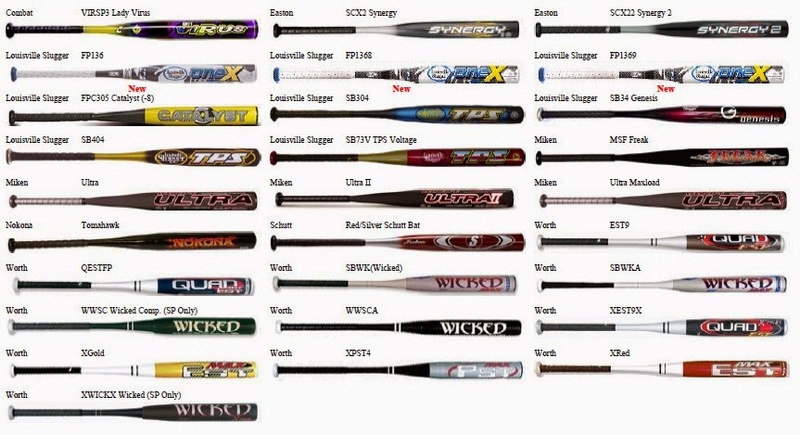 Additionally, the type and make of the bat also determines the ease of using the bat. In line with this, you can refer to https://baseballeagle.com/best-wooden-bats-brands-review for tips on finding the best bats. Baseball is a high-pressure game especially for pitchers. Most players make great hits for the first 6 innings but for the final 3 innings, the pressure of the game becomes intense. For less professional and talented players, it becomes hard for them to play competitively throughout the game, as they become excessively worn out towards the final stages of the game. It is worth noting that the pressure can be too much thereby preventing good players from becoming great and highly skilled players. You can invest in the best pitching net to train yourself on how to withstand the great pressure that comes about when playing the sport competitively. Like other sports, you can improve your baseball playing skills through regular practice. The best thing about practice when playing baseball is that it makes it easy and effortless to identify your weak points and perfect on them. You should also undertake physical exercises to build your body strength and enhance fitness so that you are able to play competitively. Invest in the best baseball bags & backpack to carry your baseball sporting items when going for practice or tournaments. Comments Off on Why Baseball Is Harder Than Softball? Only parents can convey the values they want their children to learn; it can not be left to anyone else; it would be their values and not those of the parents. What you become and depend on will depend very much on those values that your parents have taught you either by their words or by their actions. Within their family unit, children will learn to manage anger. disagreements and how to make decisions. As parents, the way we do these things is important because our children will follow our model. How children in the family perceive situations like these will help them develop their personality. In stable family situations where family time is a priority, children will grow in confidence, have better self-esteem and feel secure in their lives and lives. Emotional strength and stability are developed through strong family ties. In a stable family, which values family time, children will grow up feeling safe and secure in their family unit. In a home where family time is easily shared and appreciated, children develop by learning about the importance of family time and knowing that they are loved. In close families, there is a lot of communication and goals and education are encouraged. If this is the case, children will often follow their parents’ career choices, such as becoming teachers, dentists or doctors. In close families where family time is considered important, there is usually a family attitude above all else. Children will grow up, like their parents, to believe that time with family and family is an important part of their lives. Putting aside family time is also important for teaching children the story of their family. Nobody can do it, but their parents and other close family members. It is important that these memories and stories are passed from one generation to the next. Having a connection with the family members who came before us solidifies our own sense of belonging and being a valued member of our family. We are now part of the story that will be passed on to future generations. When families spend time together, they usually have family traditions; the old ones that have been passed on and the new ones that are started as circumstances in our lives are changing. Family traditions seem to help bring families together or perhaps it is close families who encourage family traditions. The importance of time spent together as a family can never be underestimated. 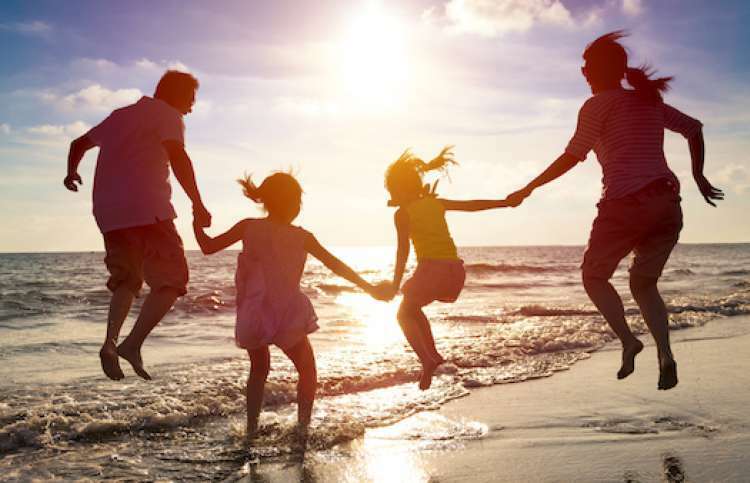 I firmly believe that those who enjoy this time together as a family will see the rewards as their children get older.